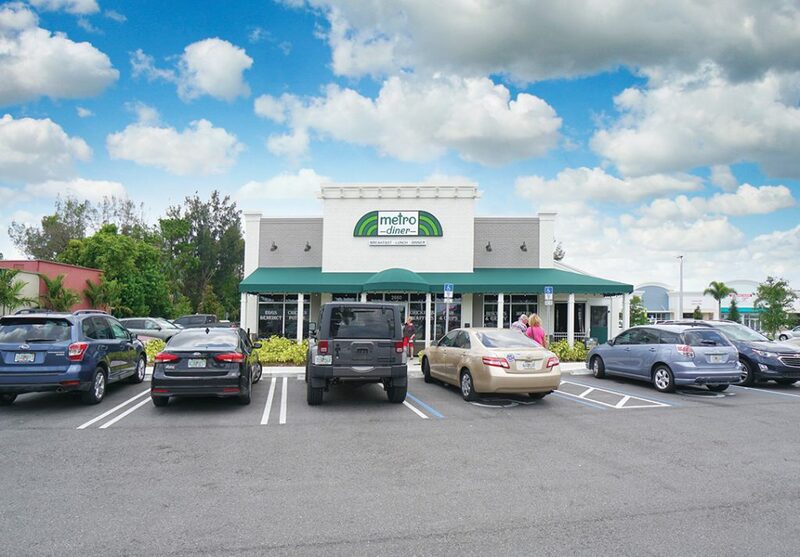 Exceptional triple net lease investment opportunity of a brand new Metro Diner outparcel located in the newly built shopping center known as Baron Shoppes in Stuart, Florida. As a net lease investment – the Tenant shall reimburse the Landlord for all expenses associated with the building. The 3,721 square foot building sits on +/- 1 acre plus cross access and parking to the adjacent 5 acre shopping plaza that consists of National and Regional brands such as Moe’s Southwest Grill, Firehouse Subs, Eyeglass World, Great Clips, Jupiter Medical, and more.